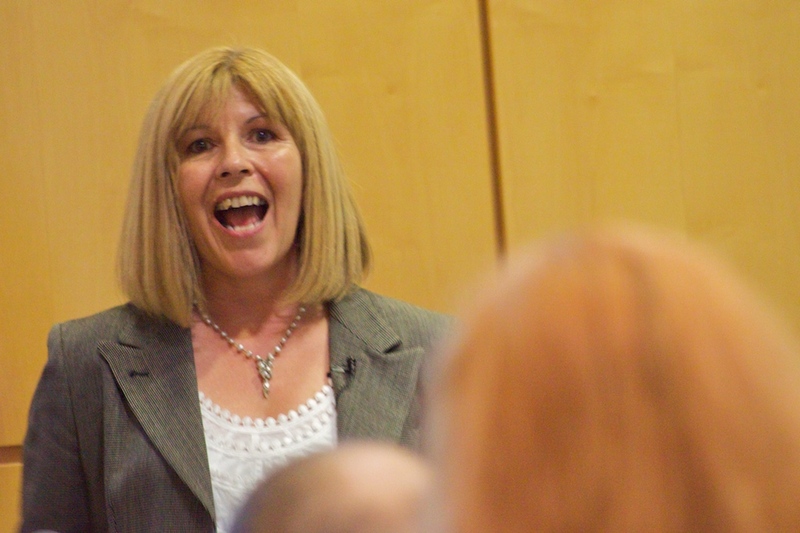 Ah, [Maggie Philbin](http://twitter.com/MaggiePhilbin). My inner 10 year old is just *dying* right now. She’s kicking off the [TEDxTuttle](http://tedxtuttle.com/) event with a series of clips from *Tomorrow’s World*, to prove that (a) sometimes they got it right and that (b) what people think is going to be successful (or unsuccessful) is often way off base. The 1987 first appearance of the CD was met with cynicism from a vinyl-loving presenter, but in 1983 they predicted DNA fingerprinting’s importance. BBC health & safety thought that the laser in the first bar-code reader was dangerous, so they had to pre-record it – and it was so bad that Philbin never thought it would catch on. I can’t really catch the humour of Philpin’s talk (mainly from the clips), but I think she’s created a brilliant (and somehow very British) bit of stage-setting for a basically technophile crowd – predicting the future is *hard*. Looking at what we have now, and figuring out what we can do with it – that’s *intriguing*.